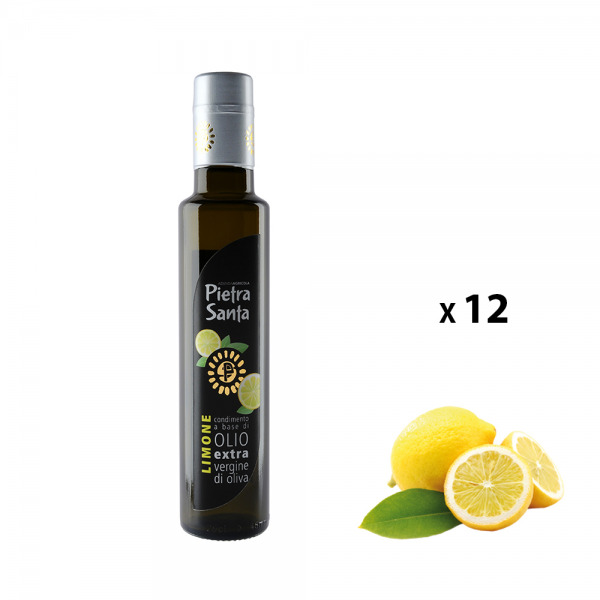 Pantry pack of 12 extra virgin olive oil and lemon seasoning 0.25-litre-bottles. 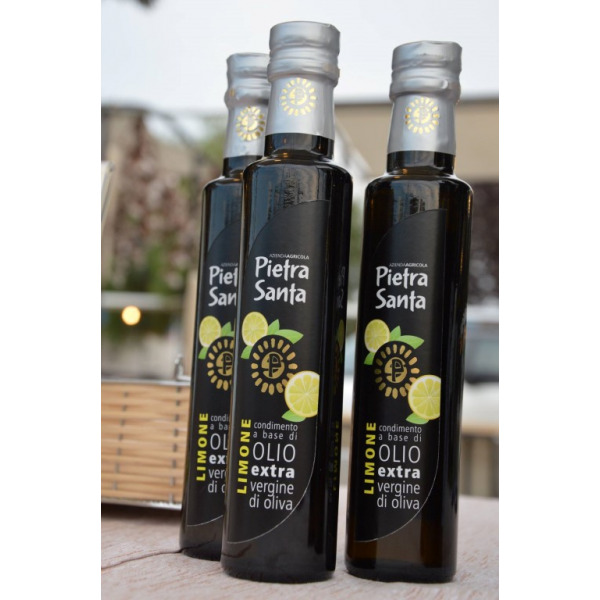 "Seasoning made of extra-virgin olive oil and LEMON"; Organoleptic characteristics: natural product obtained by pressing the olives together with lemons without any addition of flavourings; It is a delicate and fragrant superior quality seasoning. A few raw drops of extra virgin olive oil and lemon flavoured seasoning can give your dishes a unique flavour, you can use it as an excellent condiment for fish, shellfish, soups, salads, vegetables and white meat. 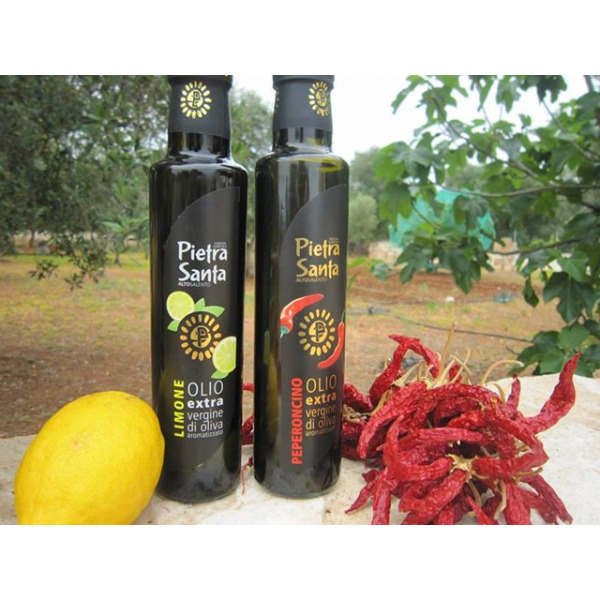 Seasoning made of extra-virgin olive oil and lemon in a 0,25-Litre-glass-bottle.